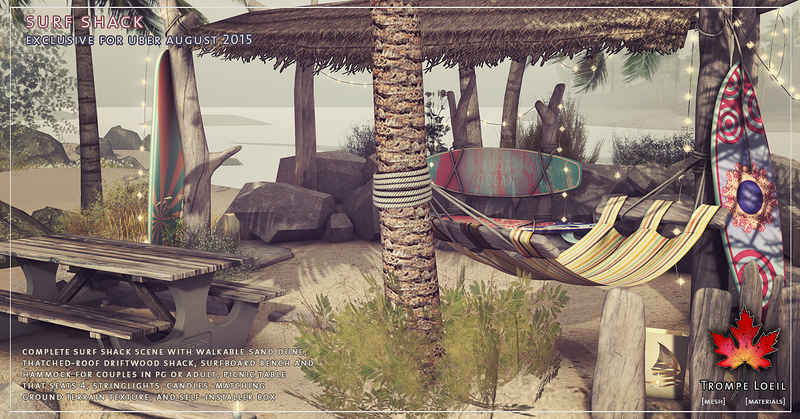 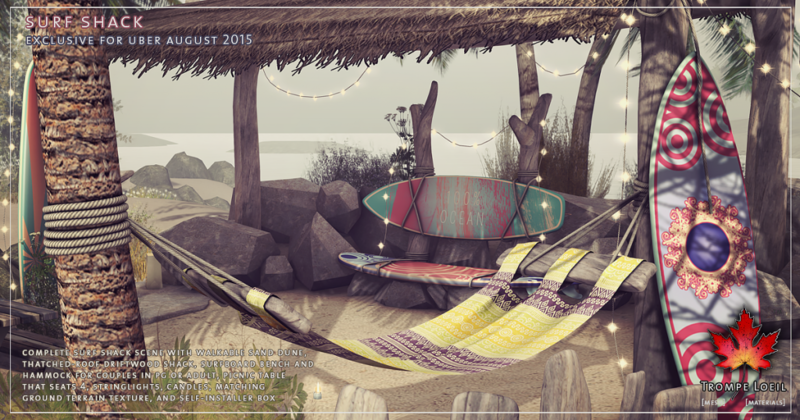 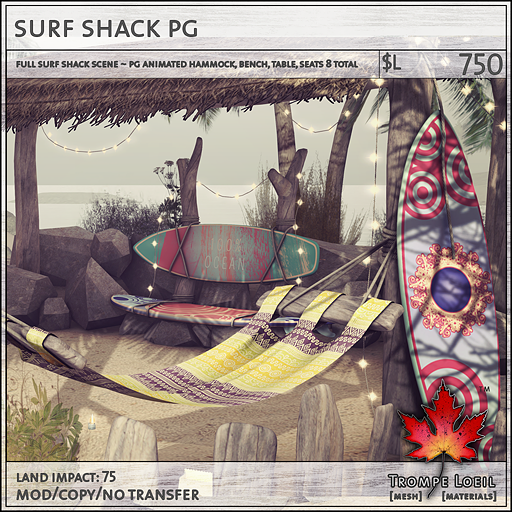 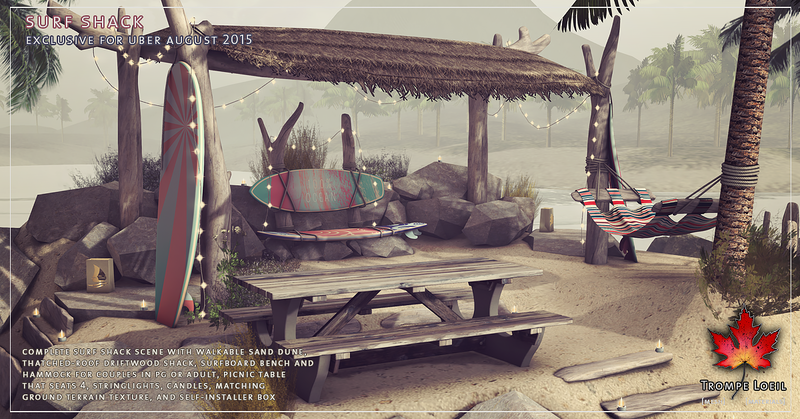 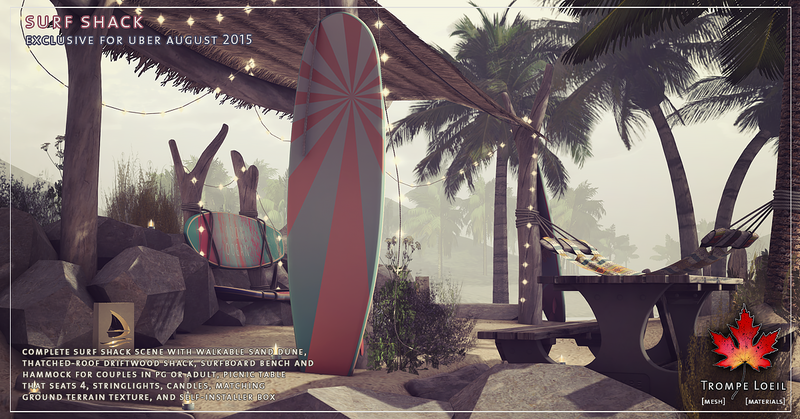 Don’t let summer slip away without catching one last wave -Trompe Loeil’s new Surf Shack for Uber’s August round gives you the perfect August HQ to hang with friends before and after you hang ten! 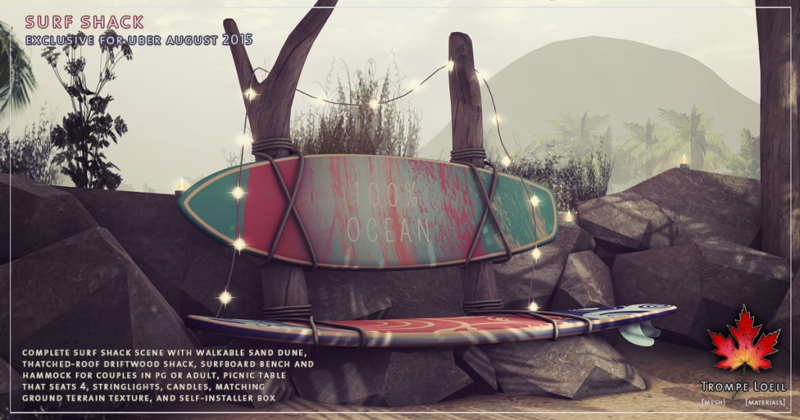 This full scene is built on a walkable sand dune lined with boulders and seaside plants. 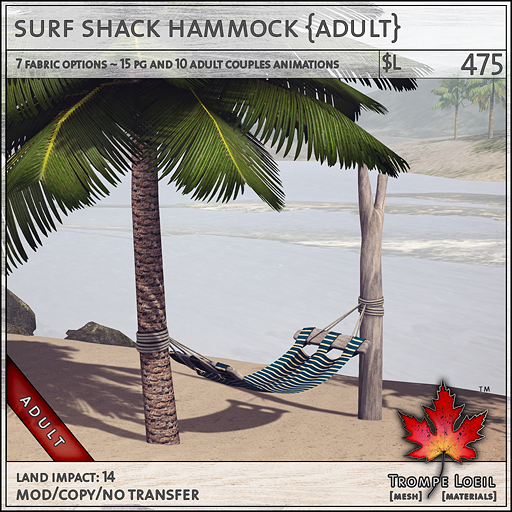 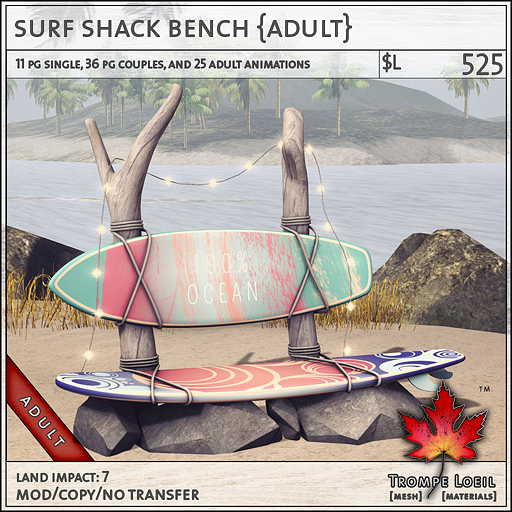 We include an animated hammock for singles or couples with texture options on touch, animated surfboard bench that seats 2, animated picnic table that seats 4, stringlights, candles, palm tree, and a cozy driftwood hut with thatched roof! 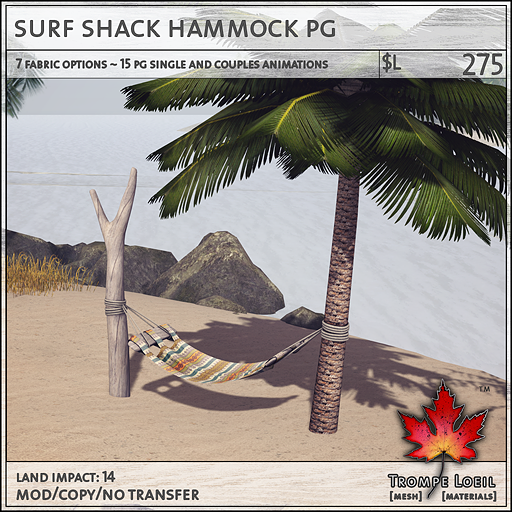 Animated hammock and bench are available in PG or Adult maturities. 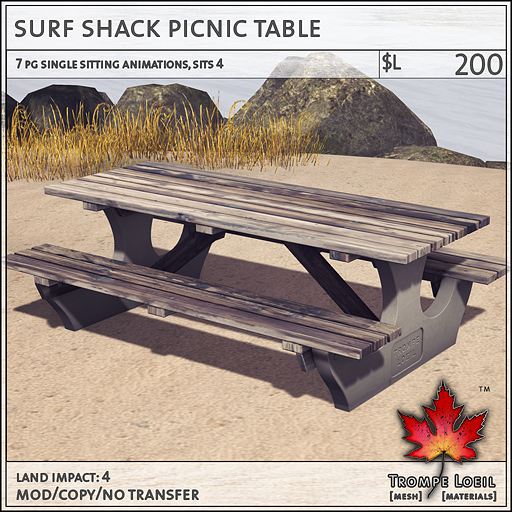 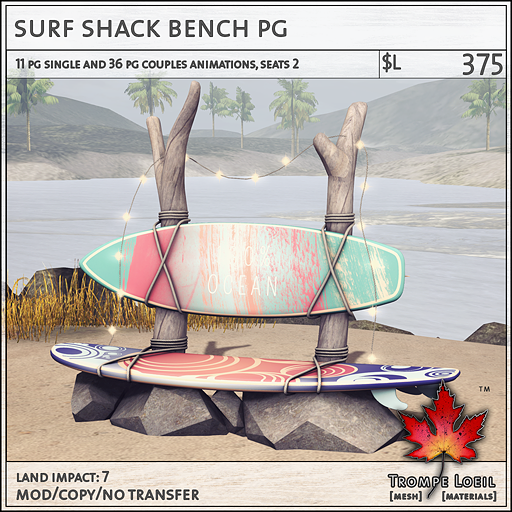 All the animated furniture items are also available as individually baked stand-alone pieces as well – create your own surf-side arrangement with ease! 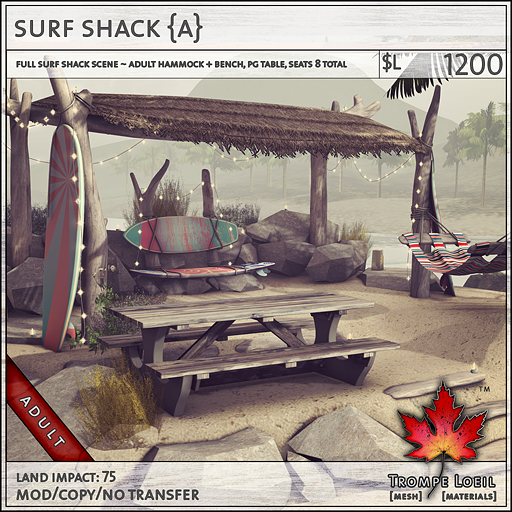 Check out the on-site demo and pick up your own Surf Shack before summer’s over – only at Uber August!